Mouling National Park – famous for the goat-antelopes and birds, is located in the West Siang District of Arunachal Pradesh, India. The park covers an area of about 483 km² and was declared a National Park in 1986. The name 'Mouling' has been derived from highest peak of AP Mouling as per local faith and belief. As far as etymology is concerned it is an “ADI” word, which means RED POISION, derived from or extract from a plant, which is found in the Mouling area only. It is very difficult to approach the park. There is no road communication to make the park accessible. The land still remains a mystery for local people, naturalists and scientists. Mouling National Park in Arunachal Pradesh has been recognized as one of the 18 biodiversity hotspots of the world. The configuration of the park is gentle to very steep and rugged mountainous land. Steep slopes of these mountains are covered with dense evergreen and semi-evergreen vegetation. The park is watered by a number of small brooks and 13 streams that finally join the Siang River. The surrounding of the Mouling National Park is adapted to domestic use by Idu Mishimis and Adis. Mouling Park is widely known and esteemed for Red Pandas, Deers, Hoolock Gibbons and Tigers. The other fauna found in the park are wild buffalo, panther, elephant, hog dear, barking deer, sambar, python etc. Besides it, the park has many birds including different types of pheasants. Apart from this, the park is also famous for birds. So far one hundred and fourteen (114) bird species under 38 different families have been recorded in the park. The valley around Mouling Park offers an amazing scenic beauty. The greenery and the mountain ranges are outstanding. It is projected on a background of tranquil mountains which intensify its grandness tremendously. 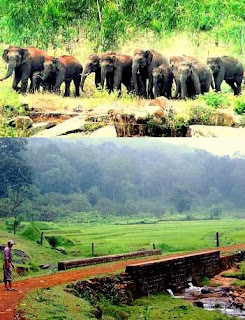 Mouling National Park and its adjoining areas are ideal for trekking and hiking. Angling at river Siang is also quite popular. The best time to visit Mouling National Park is between November and April. Along , the nearest town from the park, is located at a distance of about 30 kilometers. Nearest airport from Mouling is Dibrugarh Airport and Murkeongselek Railway Station is the nearest rail station. We can provide tour here.